Reminders, Bundles and a number of new features coming to Gmail soon! After the huge makeover of Gmail was announced last year, Google issued a controversial statement, according to which the Inbox feature would be disabled. This announcement was met with mixed reviews. However, it was evident that such a big change could only come if there’s an even better option in store for the future. This turned out to be true as we are almost one month away from the historic update and it has been reported that Google has already started testing out other convenient features, most prominently reminders and bundles. These features are being designed for the Android version of Gmail. 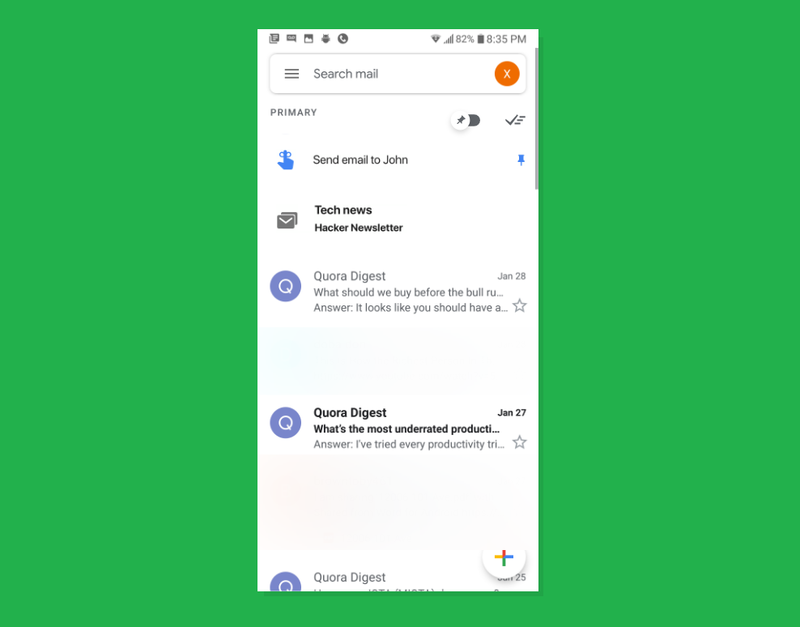 A sneak peek of Gmail’s new and improved design for Android with several Inbox features, was shared by a Reddit user recently. The Bundles feature was one of them. If you are not aware of bundles’ purpose, they exist to group together same types of e-mails so they can be easily accessed. This method came into existence almost 5 years ago. For example, all e-mails related to Traveling will be placed in the Travel Bundle and so on. As we discussed above, reminders is also one of the features being worked on. This will allow the users to schedule tasks. However, there’s still ambiguity regarding the origin of this feature. One more interesting feature that might be coming, if the Redditor is to be trusted, will allow the user to display pinned items in the feed. It is quite similar to the starring functionality however. “Mark all as read” is also about to be introduced. It should be noted however that the Redditor’s claims and proofs should be taken with a grain of salt as of now. Moreover, even if those features are under development, there’s still a lot more work to be done and things could significantly change by the time they get released.